It’s spring, and inevitably, spring and summer brings wedding season. Wedding season brings beautiful bridesmaid and flower girl dresses, lots of them with colorful ribbon sashes. 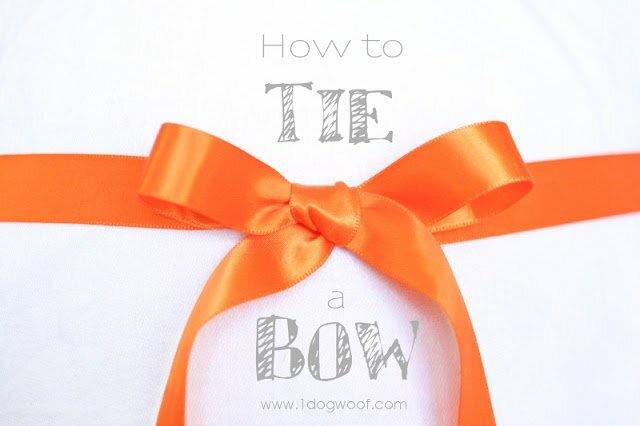 And if a flower girl moves more than a couple of feet in any direction, chances are those ribbon sashes will need to be tied and retied into a bow, over and over again. I was the bridesmaid who was in awe of the seamstress who tied my white satin sash into the perfect bow. How the?! I don’t even remember when I figured this out. Maybe my marriage to an Eagle Scout made me more aware of the knots I was tying, who knows. 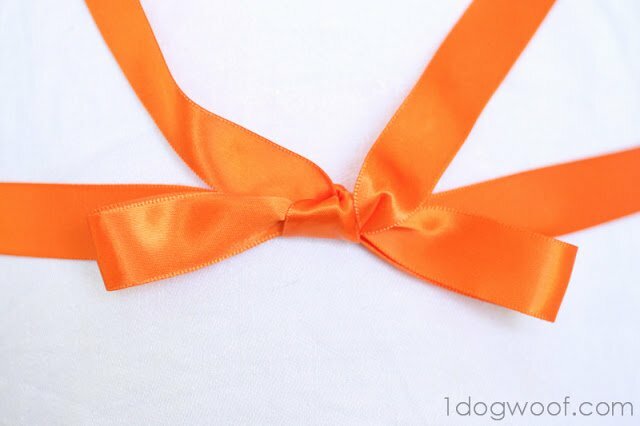 At a friend’s wedding, I was called upon to tie huge ribbon sashes into bows several times because otherwise, they flopped and drooped all over the place. 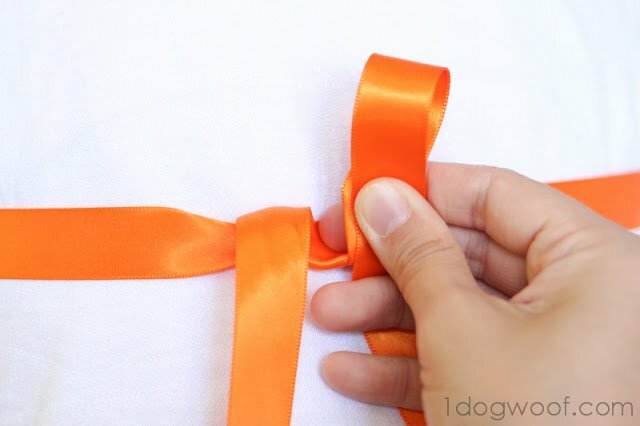 Now, I don’t know if you will find this useful, or if this is known information all over the world, and I’m just the last DIYer in the world to think this is cool, but here’s how I tie a bow. Hopefully, you start with double sided satin ribbon. 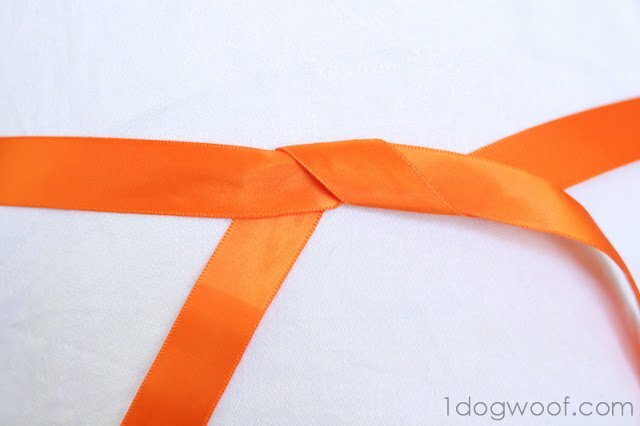 One sided ribbon makes things a bit difficult, but still do-able with more finagling. 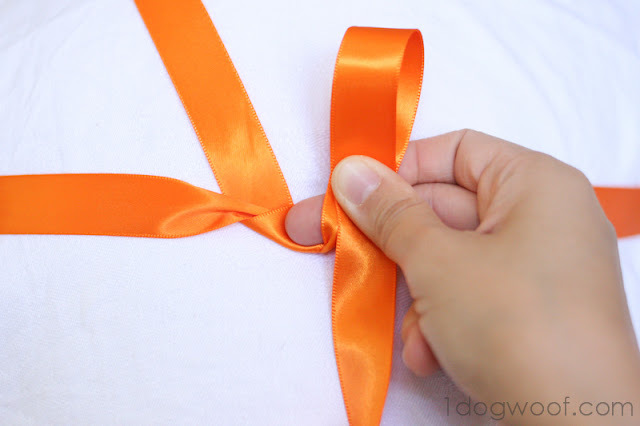 Tie the first knot so that the right side of the ribbon goes under the left side of the ribbon. 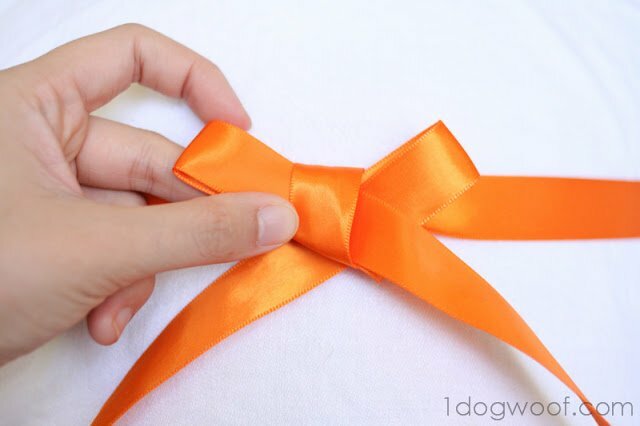 Make your bunny ear with the right strand of ribbon. The left strand is pointing up, or hanging out above the sash line. 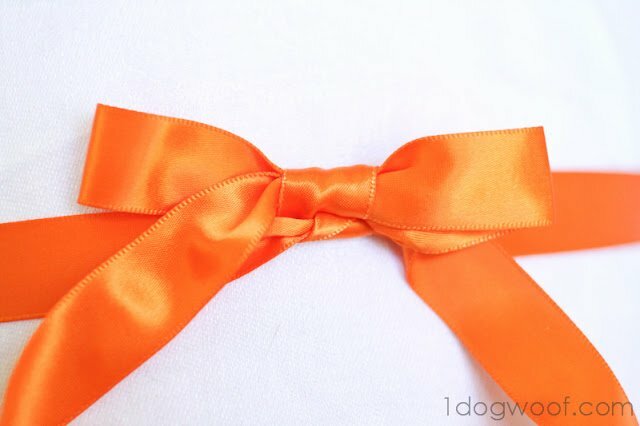 Wrap the left strand OVER THE TOP and around the bunny ears without twisting the ribbon. Push through the hole to create the other ear. All of this is done without any twisting. By wrapping over the top, you are creating that center piece nice and straight. 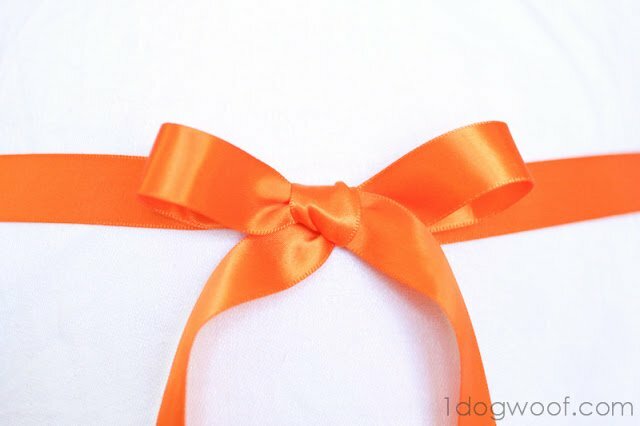 Pull tight, and you’ve got a straight and beautiful bow. then, you’ve got yourself an extra knot. It doesn’t look so bad now, but when your sash/ribbon is 2 inches wide, that extra knot gets pretty hefty, causing the drooping and flopping that you don’t want. Here’s what happens if the left strand is pointing down instead of up. 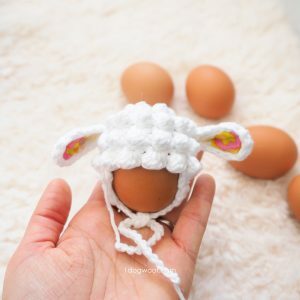 You make your bunny ears and wrap the left strand where it wants to go – below and around the bunny ears. Now, you’ve got an upside down knot. I swear I didn’t take this picture upside down! 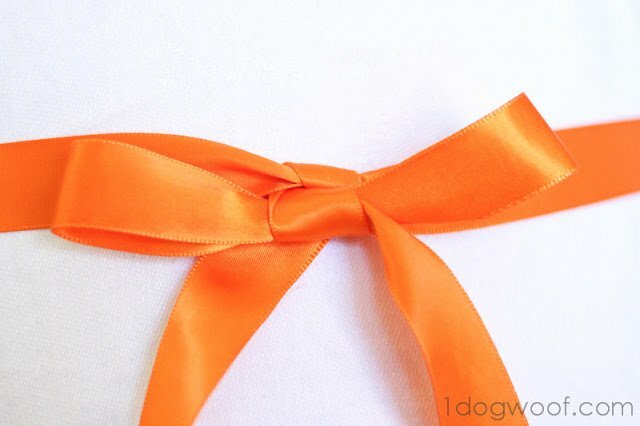 If you were just tying shoelaces, this won’t matter, but it’s much more visible in wide ribbons. You might think, oh, no problem, I’ll just switch direction, move the ribbon up, and then around the bunny ears, but now you’ve got that extra knot again. It works the same for left-handed knots too. 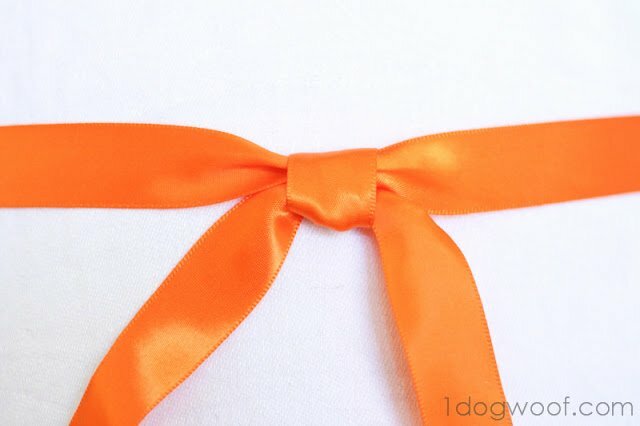 Basically, always make sure the wrapping part of the ribbon is on top of the sash, and bring it DOWN and AROUND to finish the bow. 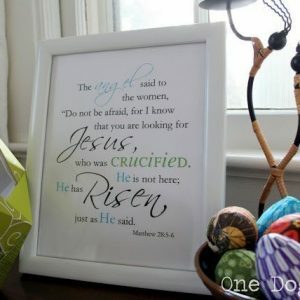 This idea also works even if you don’t make the bunny ears. Here’s a square knot where I followed the natural progression of the ribbon and brought it down over where I want the final knot to be. 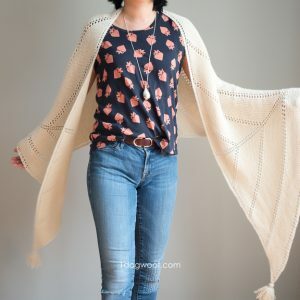 I use this technique a lot with sashes on everyday dresses and those fabric belts you see on suits to oversized t-shirts. I hope this comes in useful for you someday! Great tutorial! Thanks for sharing! Pinning this for later! 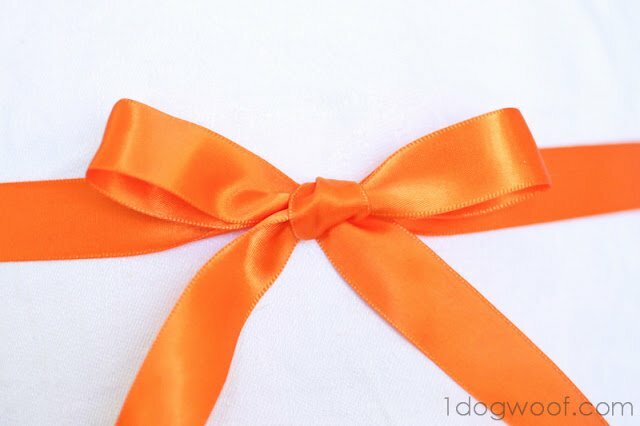 You know, I’ve never given this a lot of thought to HOW to tie a nice bow, but I have people ask me all the time how mine come out nicer than theirs. It has honestly never occurred to me that they might be going about it differently. This is actually an awesome tutorial!! This is awesome! What a great tutorial!